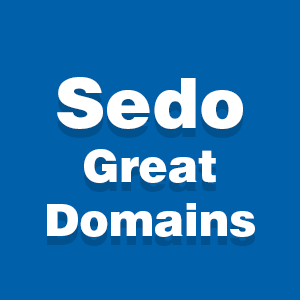 Welcome to the first GreatDomains “Seven with Sedo” auction article for 2018 – sponsored by Sedo. The domain aftermarket had a great start this year, with Sedo scoring 14 out of 22 top weekly sales, according to DNJournal. GreatDomains is a monthly, week-long domain auction event, with hand-curated domains, spanning a wide range of genres. We picked 7 domains from that lot, and while this is our personal choice, there are many more to be perused and bid on. Skim.com – Rare one syllable .com domain with a dictionary entry. TIV.com – Great three letter .com with television and Internet potential. PotPourri.com – Indicating variety and fragrance, this aged domain could become an awesome brand. Jinx.org – A nice gem of an .org, with a low reserve price. Redirection.com – Whether you build a URL redirection service, or the next navigational app, this is the perfect generic domain. Detergents.com – Right now, the best domain to use for information about the dangerous “Tide Pod Challenge” practice. NP.tv – Rare two letter .tv domain and a popular, versatile acronym. Don’t like it? NP. The active GreatDomains auction at Sedo runs from January 18 to January 25 – click here to peruse the domain inventory and bid.